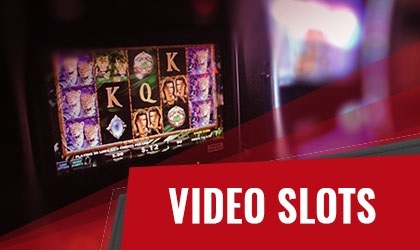 Video Slots are the most popular choice for our players and is our largest area of free casino games available. The biggest Casino software names in the industry power our Video Slots including Microgaming, Net Entertainment, Playtech, IGT, BetSoft, Rival and more. You'll find a collection of the most realistic Slots with brilliant graphics, Bonus Games and special features that challenge land based Casinos. Experience the same games played in Las Vegas and Monte Carlo Casinos all in the modern convenience of playing in your home. And the best part of all is it is Free! To get started sort by Game Name, Release Date, Most Popular and Most Players by clicking on the preferred tab. The 'Play now' button will launch your game instantly for fast and easy access. Credits are automatically made available at the start of each game. Choose coin value, number of lines, bet per line or max bet and spin the reels into action. A full comprehensive review describes each game in detail including theme, features, Bonus games and Jackpots. Recommended online Casinos to play in Real Money mode any of the Video Slots played in Free mode is available.